Born and brought up in Kenya. She developed an early love and passion for all animals and was never without a pet!! After a degree in Equine Science at Bristol University she went on to study Veterinary Medicine at the University of Nairobi and later qualified as a Member of the Royal College of Veterinary Surgeons in the UK (2005). 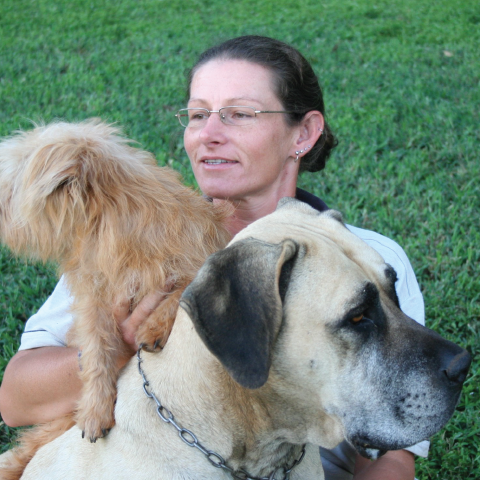 On returning to Kenya she took up a job at the KK Security Canine Unit as the Company Vet caring for 250+ dogs. When Anita left KK Security and moved to the farm to be with Robin in 2009, they together decided to set up Yoani Yapperville as a diversification to the existing farm operations.